Sitting here watching football this evening, I was reminded of how, in any sport, it feels great to be in first place. Everyone loves to win, and loves a winner. Players work a lifetime of long hours just to be a champion someday. There is also something to be said for “running to win” in the Christian life. But on the other hand, there is also an unhealthy desire for preeminence and power that is unhealthy and sinful. It’s is where a person believes they deserve to be in charge and enjoy lording their authority over others. In the little letter of 3rd John, the Apostle mentions just such a man and hs name was Diotrephes. This is the behavior that Paul warned about when talking about proper conduct for elders in the church in Titus chapter 1. John details the things Diotrephes was doing so that centuries later we could be warned of engaging in such conduct, and wary of those whose behavior resembles the same. Toxic leaders will spread lies and accusations against others. They will try to maintain their power by disparaging anyone else that might be sought out for counsel. In doing is, they reinforce the illusion that they are the only source of true teaching that their flock can trust. Toxic leaders not only do they spread gossip about other leaders, but do not accept correction from others. Such a leader is so full of himself that he sees no benefit in hearing what anyone else has to say. They not only forbid the flock to hear teaching from other sources, but are convinced that their understanding of the Bible is superior to others. This kind of intellectual inbreeding leads to deformed spiritual growth and eventual destruction of the flock. Toxic leaders are so insecure that they will believe they are protecting the flock by expelling those who dare to hear teaching from anyone else, for fear they will introduce new ideas or expose them as false prophets. It is fear of losing their spiritual family and all they have known that keeps people in such destructive systems. Ironically, in the First Century Church, they are already dealing with a cultic and toxic leader like Diotrephes. What does John advise them to do? He tells them how to act, and even gives a positive example of someone they can emulate. How can you tell if you are following a Diotrephes instead of a Demetrius? If you are in a situation where your leaders are lording their authority over the flock, get out! If orders are being given to obey instead of examples being lived to follow (2Thess 3:9), get out. If you find yourself doing things only because the pastor said so, and you don’t want to be seen as having issues with authority, get out. You need to be doing things because the Bible says so! Have I seen situations like this? Yes. Am I in one now? Not even close! We have wonderful elders. But having been other places, I know what it can be like, and your spiritual survival depends on living the Christian life that the Bible describes, under the godly leadership of multiple elders. That is what the New Testament mandates, and men like Diotrephes are the reason why. Find a church with a biblically accurate organization and you will be on your way back to spiritual and emotional health. But if you are in a healthy congregation that has godly leaders in place, encourage them and do all that you can to make their ministry effective and not a burden. Paul summed it up nicely for the Thessalonians. Some things in life are done on a regular or even a continual basis. And in our spiritual walk with God, there are disciplines that we cultivate that aid our spiritual growth. Our Father in heaven also has things which he is constantly repeating, like forgiveness, salvation, and guiding His children. What I want to take a look at now, though, are things that God has done in Christ that are accomplished events, and will never be repeated because they are permanent I their effect. Christ has delivered the Gospel and founded His church. Jesus also promised that he would be with us always, even to the end of the age just before His ascension in Matthew 28. The Canon is closed, and the revelation of His will is complete. There is no need to give heed to those who claim new revelation. But there is another thing that has been done once for all. 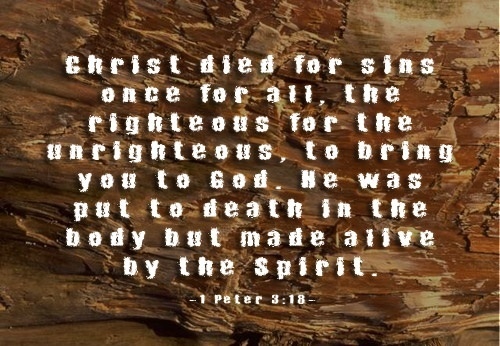 Christ has shed His precious blood and eternally completed the sacrifice for our salvation. The sacrifice that was made to secure our forgiveness was made once for all time, and it needs no repetition. In fact, to try and repeat it on a weekly or even daily basis is to cheapen the value of the original sacrifice! Nor is there a need to continually offer that sacrifice to God, for Jesus offered it and has already sat down. That’s generally how you know when someone has finished something. They return to their rightful place and sit down! Thus, when His mission was completed, Jesus was able to cry out “It is finished” as a confirmation that he had suffered enough and shed enough of His blood to fully accomplish that which He was sent to do. We dare not try to continue that sacrifice or repeat that sacrifice today. In the future, there will be another work that will be accomplished once and for all. That will be the eternal judgment after death that will determine our eternal condition. Yes, our condition will be one of eternal bliss or eternal destruction. There is no indication that either of these destinies will be temporary or changeable. Thankfully, we can decide that destination today. According to Romans 6, If you are buried with him in baptism, you will rise to walk in newness of life and be on the road to Heaven. What could possibly be big enough to keep you from doing that today? Let’s look at these verses from their primary perspective, that of Christ and the Church. In these verses here, Paul quotes Genesis 2. So let’s take a quick look at that in context to see the correlation Paul is making. And the Holy Spirit is saying through Paul the this is a type of Christ and the Church. 1. Christ preceded us, and yet we are part of his body. 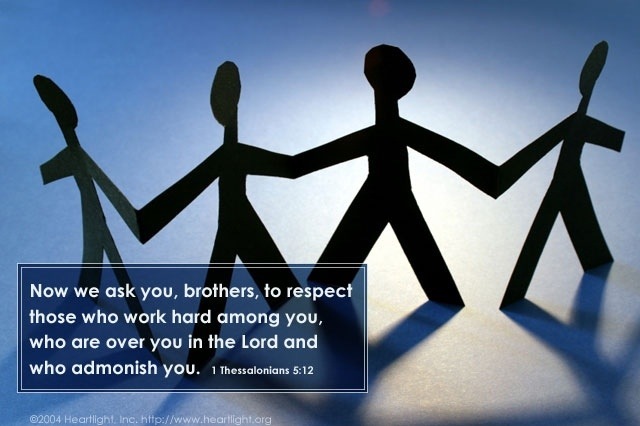 We are his flesh and bones, working together in unity to carry out his commands. 2. We are called “Christians” because we are in Christ. 3. We are called to be help meats, or helpers to Christ in preaching the Gospel message. 4. Christ loves each of us, just as he loves his own body, and cares for us. 5. As with the original marriage, there is nothing hidden from the view of our spiritual husband, Jesus Christ. 6. 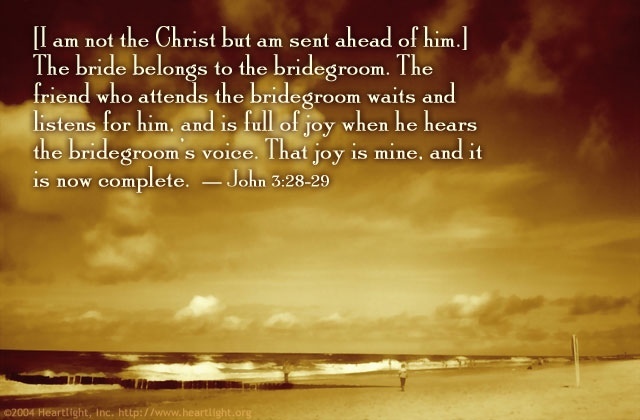 As his bride, it is spiritual adultery when we follow after the things of this world instead of Christ. B. take the time to communicate with the one we love. Prayer should not be a chore. C. Read the letters he has written to us, because we love him and want to know him more deeply. D. Live lives of undivided love and loyalty to Christ. How would you respond at the altar if your fiancé responded to the question with, instead of “I do”, saying “for the most part”, or “when it’s convenient”! Be totally sold out for Christ. E. Don’t believe lies about your spiritual husband (false teachings). F. We should not deceive ourselves into thinking we can keep secret, unconfessed sin and that Jesus will not know about it or discipline us for it. G. And for those who love attacking his church and speaking ill of her, I would be careful. I would guess that Jesus will deal harshly with those who spend their time insulting his bride! Do We Need the Holy Spirit in Order to Understand the Bible?